This bench press tip takes practice, but it’s effective in teaching you how to bench press more weight keeping your shoulder blades tight together. I came up with this method on my own, but someone else may have originated. I’ve watch a lot of youtube videos. I may have learned by watching big bench pressers bench. They didn’t teach it, but I just sort of copied them. This stretch for the bench press will help improve your mobility so that you can bring the bar to your chest without pain in your shoulder. 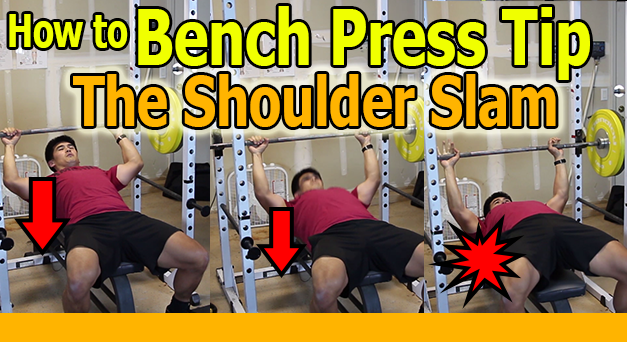 It helps improve shoulder extension so that you keep your shoulder blades tight at the bottom of the bench. 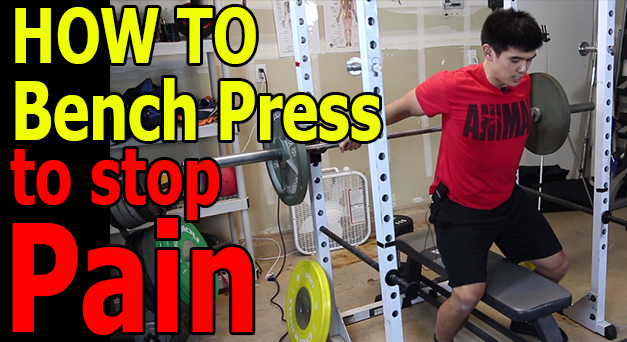 I have a “how bench press” series on my youtube channel. 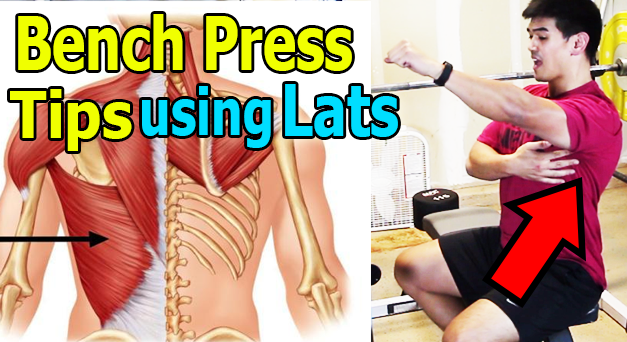 How to bench press using lats by using the lat slide out technique. 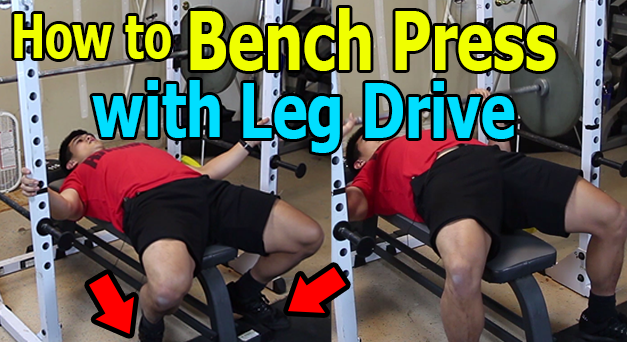 This bench press tip will help you bench more quickly. The idea is to use your lats to slide the bar out of the rack. This engages your latissimus dori which not only helps keep your shoulder tight, but also keeps your entire body tight. Great for powerlifting, even better for bodybuilding when you want to load the muscle. 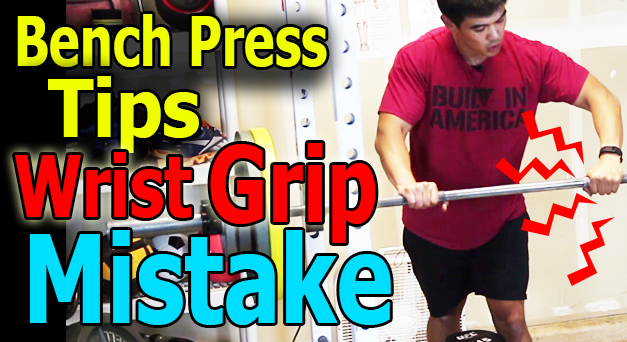 How to bench press correctly with the proper grip for powerlifting and for body building. It’s small adjustment on the wrist and grip that can make all the difference, especially with heavy weights (90% of 1RM+).